Today I am looking at visual images to inspire a new painting that I am using a new process! The substrate is wood that I covered with gold leaf. No easy task that. Creativity is often learning something new that I have never tried and it teaches me lessons that had I not tried I would not have an opportunity to learn. For me it is always patience! Yes that ….. Gold Leaf is the Guru of patience in a process. Now that the hard part is done, I am trying to visualize what image would live up to this type of brilliance. And can I find the best technique to justify the beauty in my minds eye. Always part of the process for me! I would like to try to transfer this image I took a few years back in Assisi. So far my transferring techniques are not working as planned. Therfore, I am looking forward to a workshop in Santa Fe but it is not until Oct. Maybe Vicki can teach me a few tricks when she comes in May. About the image itself? 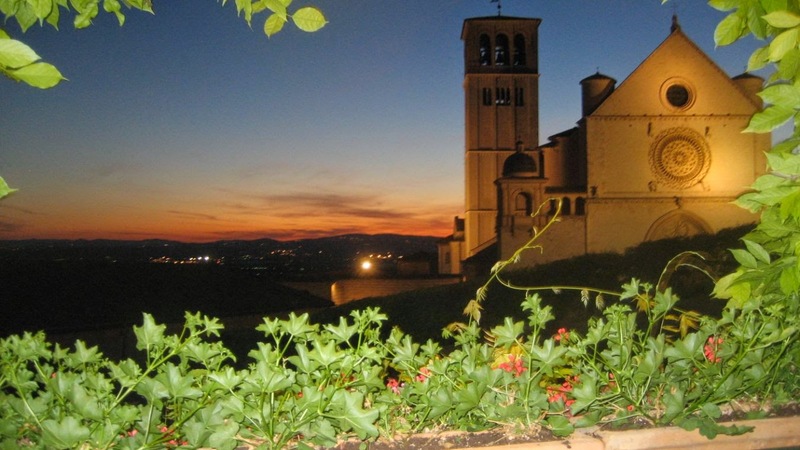 I was sitting at a restaurant outside the main chapel in Assisi, Italy, with an amazing Italian Red…wine that is, when I thought now that is an image worth remembering.